Happy Holidays! Hand drawn postcard. Happy Holidays! Health, peace, and happiness to all of you. This wonderful postcard was painted by 15 year old Lena. This entry was posted in Student Paintings and tagged hand drawn postcard, ink drawing on December 24, 2015 by Olga Rogachevskaya-Chu. 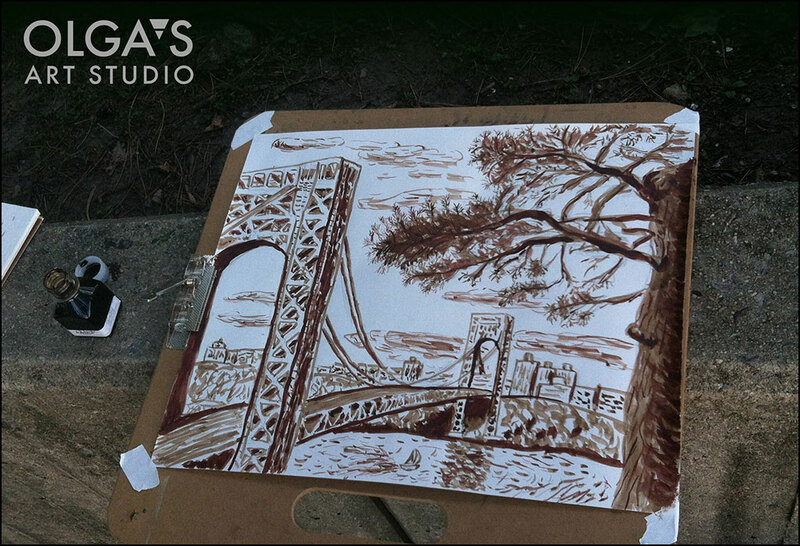 You can see my ink drawing of George Washington Bridge at Edgewater Art & Music Festival on Sunday September 20th. And if you happen to like any of my artworks they will also be available for purchase. 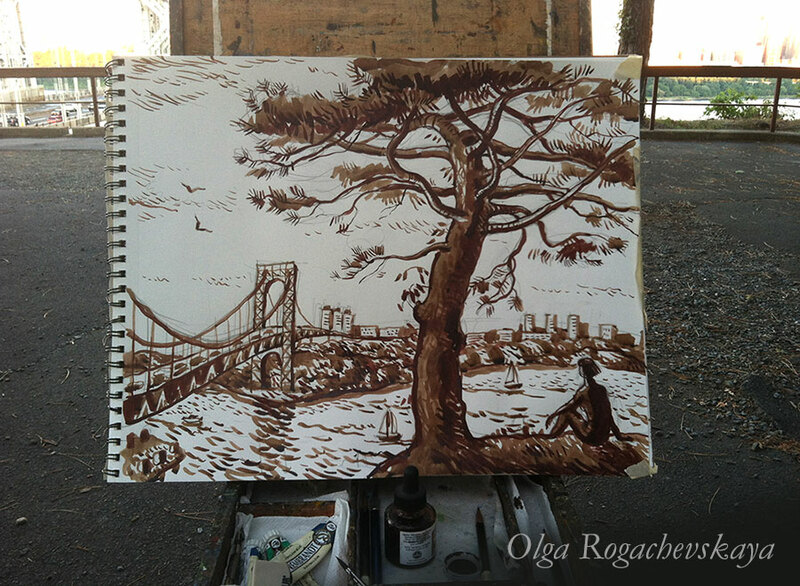 This entry was posted in Drawing, Plein Air Paintings and tagged George Washington bridge, ink drawing, Olga Rogachevskaya, plein air on September 17, 2015 by Olga Rogachevskaya-Chu. Max’s ink drawing of George Washington Bridge at Fort Lee Historical Park. 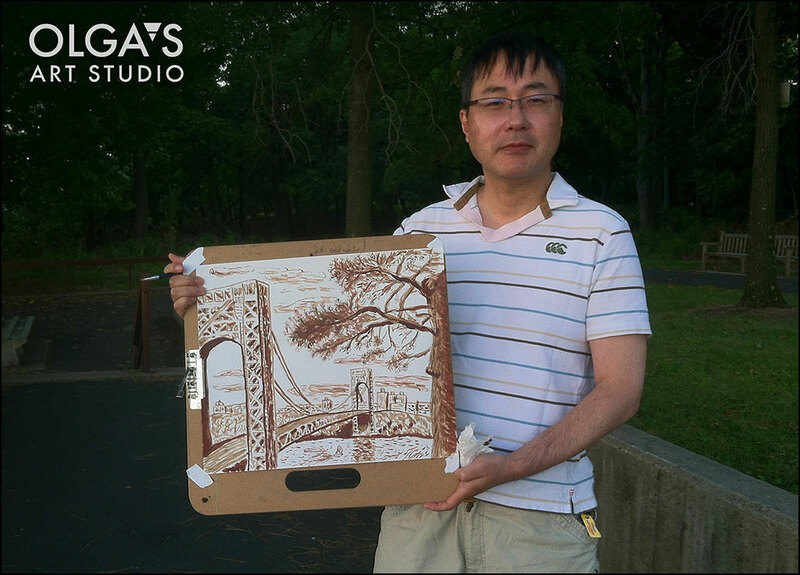 He used two shades of brown ink to portray depth and perspective better. 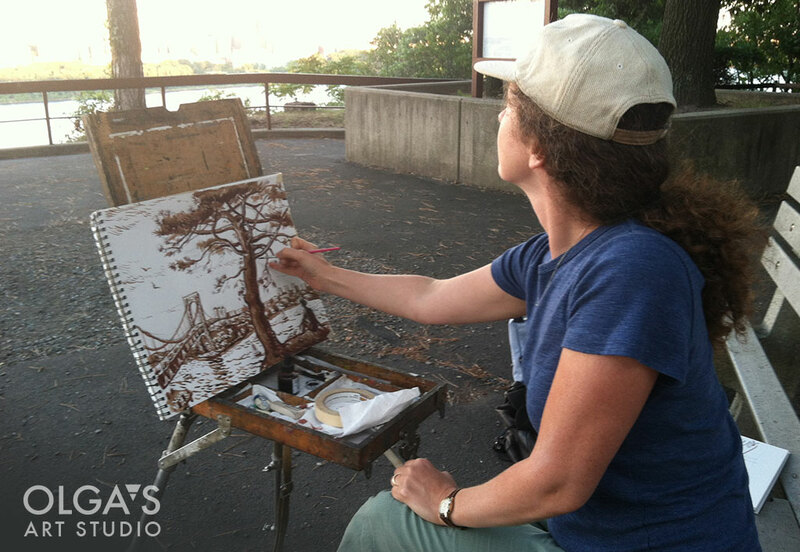 This entry was posted in Drawing, Student Paintings and tagged adult art class, drawing, Fort Lee Historic Park, George Washington bridge, ink drawing, plein air painting on September 15, 2015 by Olga Rogachevskaya-Chu.